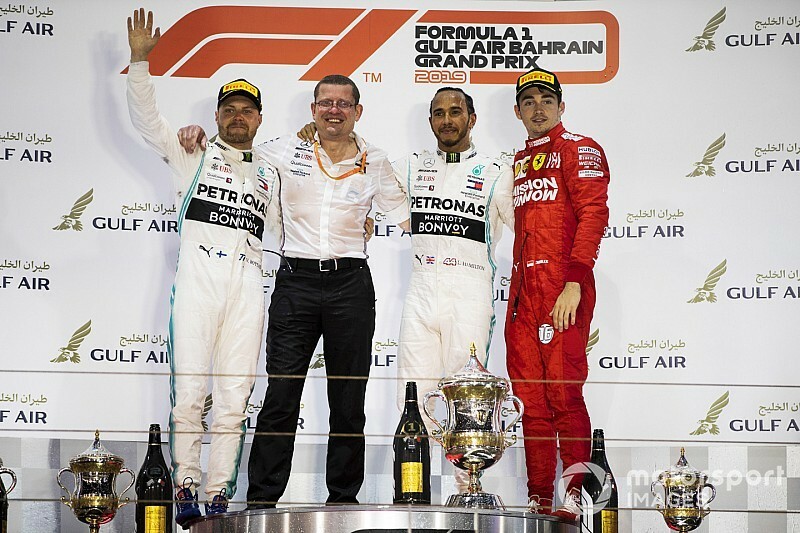 DRIVERS: 1 – Lewis HAMILTON (Mercedes) 2 – Valtteri BOTTAS (Mercedes) 3 – Charles LECLERC (Ferrari). Q: Lewis, congratulations. You had to work so hard for that one. Lewis HAMILTON: Yeah, today was a really, really hard job. This weekend the Ferraris have been incredible and I just had to see Charles because he did such a great job. I’m sure this is a devastating result for him as he had done the job to win the race. We were definitely lucky today but you have to take it as it comes. Ultimately, I still gave it everything in the race and I pushed as hard as I could, and obviously the fight I had with Vettel was great fun for me. Q: Take us through that. You went around the outside of Turn 4 a couple of times and Seb spun off behind you. LH: Yeah, if you look at that big flag on top of that tower there is a massive headwind into Turn 4, so I just gave it everything and braked later than usual and dived down the outside. I don’t think we touched or anything like that, but this is a great result for the team considering how hard the race was. This guy here [Leclerc] has lots more wins coming in the future so congratulations to him. Q: Charles, I’ll come back to you. I’ll just have a quick word with Valtteri. Valtteri, P2, pretty satisfying, the pace was difficult, but you were there when it mattered. Valtteri BOTTAS: Yeah, I think as a team we got a bit lucky today but we kept it together, we did no mistake as a team and the car was very reliable – and that’s the win today. The hard work at the factory is paying off like this, so that is good. Otherwise a difficult race for me. The balance of the car was a bit everywhere and I ended up doing a lot of mistakes and so on. Q: A great start and you weren’t giving Lewis any extra space there in the early laps? VB: No, I never will. The first lap was good. I had a bit of a lock-up into Turn 1, so I lost a place but then I had a good battle with Lewis and congrats to him. Q: OK, congratulations on second place. Oh, Charles, I think your car should be parked there [in P1] today? Charles LECLERC: It happens. It’s part of motor sport. Unfortunately today it was not our day. But I am confident. The team has done an amazing job to recover the lack of pace we had in Australia. And yeah, what to say? Of course I’m extremely disappointed, like the whole team, but it happens in the seasons. I think we made the best out of it. We have been lucky in a very unlucky situation. Hopefully we had the safety car at the end, otherwise we would have finished even more rearward and also I don’t think with the fuel we would have been OK. Vey hard one to take but thanks to the team for the amazing car all weekend long and I’m pretty sure we’ll come back stronger. Q: Well, you got the point for fastest lap. The first few corners seemed a bit difficult, low grip, but then you took the lead beautifully. CL: Yeah, I didn’t do a good start. Then we were very strong all race long. It’s a shame to only finish third but as I said, it’s part of racing, and we will come back stronger. Q: It’s your first podium, let’s look on the bright side. CL: Yeah, exactly. But, as I’ve said a lot in the past, I’m never really looking at the result, I’m more looking at the potential there was to do better. Today, third was not our place, but yeah, very happy anyway. Congratulations to Lewis and Valtteri and as I’ve said many times, we’ll come back stronger. Q: Lewis, an incredible race from start to finish for everybody but another really good performance from you. As you lined up on the grid today what were your expectations? LH: I think the expectation was it was going to be a very, very tough race. Clearly the Ferraris had been quick all weekend. 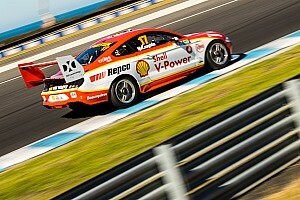 Charles had been incredibly rapid all weekend and was quickest in all sessions, and truly deserved the win. I think at the start I was hopeful to leapfrog at least one of the cars and in my opportunistic mind I was thinking to jump both of them at the start. But I got a terrible start once again, which is a bit disappointing, as I’ve put a lot of work in to try and improve those. You fall down and you juts keep going, and get back up and I’ll keep trying. After that, I think it was up and down clearly throughout the race. It looked like I could keep up with at least one of the Ferraris. And then that second stint was horrible, on the soft tyre. Then we fell back behind the Ferraris and it looked like we were out of contention for a second or even the wind. I was just battling this snappy, oversteery car in these winds, which were very tricky out there. And then with the undercut, that was a very exciting moment for me. I definitely didn’t see all that happening when we pulled up to the grid, but I’m grateful for it. As I’ve said, clearly we were very lucky today to get the 1-2 as a team. I think collectively we’d done a solid job through the weekend and Ferrari had out-performed us from the get-go. We’ve got to continue to work, as everyone is, it’s very, very hard. We’ll analyse where we have gone wrong this weekend. And as I was saying downstairs, for Charles… do they call you Charles or Charles? CL: I don’t mind. Whatever is easier for you. LH: I’m struggling every time I say the name. He did an incredible job this weekend and he’s got a beautiful, bright future ahead of him, so this will only make him stronger. Q: Valtteri, 32nd podium of your career, we saw you make a great start. You’re still leading the Championship after race two. How do you sum it all up? VB: Yeah, actually there were many points that were very interesting and exciting in that race and good fun – but then there were points in that race where I felt quite lonely! I didn’t see anyone. So, yeah, I had a great start to the race, I managed to get into P2 but then on Lap One into Turn One I think the wind caught me up a bit, I braked a bit too late into Turn One, trying to keep my position, and I lost two places – so back to fourth place. 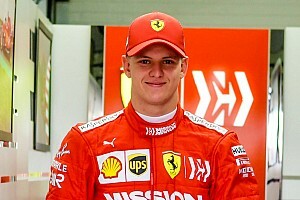 I think Ferrari, ultimately, was very, very strong again today, like yesterday – but yeah, during the times with the wind I ended-up doing some mistakes, like I think some other drivers did as well, and it was extremely difficult to keep the rhythm – but yeah, there were some good battles and so on. I managed to save the engine at some point when there was no threat from behind and a big gap in front. Also, I had a plastic bag stuck on my front wing at some point, which was costing performance, so not the perfect race but in the end, luck was on our side and we’ll definitely take it – especially me, after al the bad luck last year. So, obviously hard luck for Charles, he was very strong – but y’know, it will come for him. I had to wait for more than 80 races for my first win, so I’m sure it’s going to be OK.
Q: Charles, coming on to you, your first podium in Formula One, but obviously tinged with disappointment. I just wanted to ask you what positives you can take from today? CL: I think from the whole weekend there are a lot of positives to take. After Australia we were quite a lot far off. I think we found some answers – not all of them – but we found some. We came here, front row lock-out, which was very positive for the team, and we showed that they have done an amazing job. That doesn’t mean we’ll stay there for the rest of the season but that just shows off how good of a job they’ve done between the two races. And then I think we’ve shown also that we had very strong pace during the race. Probably we were the strongest today. Unfortunately the issues stopped us winning – but, on the other hand, issues always happen in a season and, if any time I have an issue, I finish third, then I think we could be quite happy. Today was not our day. It’s sad, because obviously I was so close of realising a dream that you have since childhood, which is your first win in Formula One – but hopefully this day will come one day in the future. I’ll work for that, and I’m pretty sure the team will work for this but they should be proud about what they’ve done this weekend, and we’ll come back stronger. Q: How comfortable did you feel out front? CL: Well, very comfortable. The car felt amazing. There was quite a lot of wind, which was extremely tricky, especially out of [Turn] Four. So yeah, it was a very difficult race. i had to stay on it absolutely every lap. So yeah, it was very enjoyable, especially in the first part of the race when I had to catch back the position lost at the start. Q: (Christian Menath – motorsport-magazin.com) Question for you Charles. Can you describe how you felt the problem for the first time – and then what happened afterwards. Did you try to reset the car? Was there an intention to stop the car at all? Can you just talk us through it. CL: To be honest, how I felt in the car, I really thought everything would blow up a few laps later. Happily it has not been the case and we still finished third, so yeah, just a loss of power, completely, very sudden. It got a tiny bit better after but the problem stayed there. And there were no signs before it to feel that anything was going wrong. Q: (Frederic Ferret – L’Equipe) Lewis, how does it feel when you pass someone who is having some problems for a win. And a question for Charles, how difficult was it to pass Seb on Lap Five? LH: Ultimately you want to pass someone because you’re quicker than them and through a fight. I went past Charles down the back straight and I raised my hand to him because there’s nothing I could do, obviously I didn’t have any problems, so it definitely feels weird and, honestly, you can’t believe your luck in those scenarios, but what can you do? You can’t deny yourself it. You just have to keep doing what you’re doing and pushing ahead. As I was saying, I’ve been in positions like that: we’ve been in the lead many a time when the car has stopped and I know how it feels. But it’s always good to look at the glass half full because today he still got some great points even though he had that problem and he was an outlier all weekend – even to his team-mate, he was so much faster than his team-mate all weekend so he has so many positives to take from it and we have a lot of work to do to try and keep up with him! CL: Yes, well, it’s always a tricky situation when you get to fight your team-mate because the risks are very high and, as in every team, I think, they warn you before the race: OK, you can try things on different people, but with your team-mate, please be careful – which is something normal. So it’s always obviously that something more. But yeah, I had the opportunity on lap five and I didn’t hesitate, I just sent for it. I was happy it was successful the first time I tried, especially after the bad start. So yeah, happy with how it ended-up. 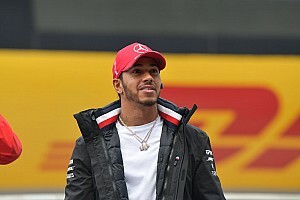 Q: (Ben Anderson – F1 Racing) Charles, you mentioned just after the race that you were lucky in an unlucky situation because of concerns over fuel. Was that a result of the problem you had with the MGU-H or were you struggling with fuel before the problem struck? CL: No, no. It was just the result because of obviously being very slow on the straight, we were spending a lot more time on the straight so you are using a lot more fuel than normal so it was just a normal consequence of the lack of power on the straights. Q: (Andrew Benson – BBC Sport) Charles, at the start you lost the lead, obviously. How did you feel about that at the time, what was your approach after that and then we heard you come on the radio and say to the team ‘guys, I’m quicker’? Were you worried at that point that you weren’t going to be allowed to race and try to pass Sebastian? CL: No, I was just letting them know. Then I think I had an answer, saying to me ‘OK, stay like this for two laps’ but then on the next straight I had the opportunity to go for it, so I went for it and it was a successful pass and then I was just quicker, so then I did my race. Then obviously, to lose the lead in this way it’s always a shame and always a disappointment but I also had a lot of things to do and there were still points to grab so I very quickly got back to focus on my race. Obviously the win was out of reach because of the problem but there were still very important points to gain. I just tried to focus as much as possible, meet the disappointment on one side and… yeah. Q: (Heikki Kulta – Turun Sanomat) Valtteri, it seems to me that those extra points for fastest laps are working because you are now leading because of that. Do you agree? VB: Fully agree. They are points that will count at the end of the championship. Obviously, now, at this point, it doesn’t matter much but what matters is at the end of the championship and we’ve seen many championships finishing with very small margins. Today it was a bit out of reach with the strong pace of Ferrari, they got it, but yeah, for sure while there is this opportunity it’s going to be important but anyways, even though it felt a super-difficult race I’m happy to be getting this amount of points because in the end, consistency is going to be the key. Q: (Livio Oricchio – GloboEsporte.com) We go to China and Baku, circuits with completely different characteristics to this one. Do you think the picture we have here we can transport to other rounds of the season? LH: I think it’s really difficult to say, honestly. We’ve only had two races and they’ve been flipside, you know, both sides. One where we were rapid and far ahead and this weekend where they were. So as always, every season, it takes a good few races before you kind of get a gist of where it all is but I anticipate it’s going to be back and forth between the two of us. If they have this straight speed in the next race then we’ll be watching them disappear but obviously we’re going to be working hard to try and understand where we went wrong this weekend and if we can improve the car but as you can see, reliability is also a very very key important part, so we’ve just got to keep working on all areas. CL: No, as Lewis said, I think we struggled quite a lot in Australia. Here the car felt a lot better overall. Now we just need to work and make it feel that way every race weekend, but obviously the track characteristics are also taken into account. It has been a good weekend for us but that doesn’t mean it will be like this for the rest of the season, so we need to work and try to keep the position that we’ve had this weekend but it’s obviously not going to be easy. Q: (Rebecca Clancy – The Times) Charles, you mentioned earlier that you were so close to fulfilling a childhood dream. Does today feel like the cruellest race you’ve had in your career? CL: I will not go to that extreme because I think Formula Two in Monaco was probably the worst I’ve ever had but yeah, because it’s still a podium and it’s my first podium in Formula One so in a way I feel I should enjoy it, the way I felt like there was a lot more to take this weekend but yeah, overall, of course, it’s not the ideal race we wanted but we shall be happy about our third place despite problems.